What Finish Can I have? All of the plain woods on these pages will be hand finished for you. 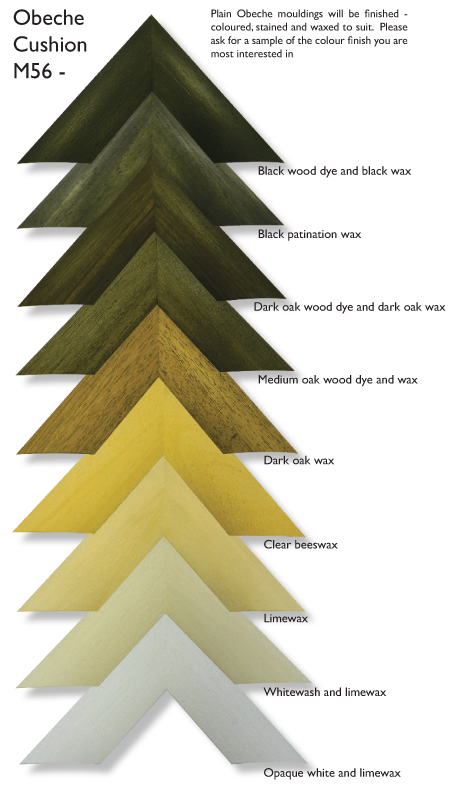 Here is a selection of the colours and mediums available to Bespoke Framing customers. 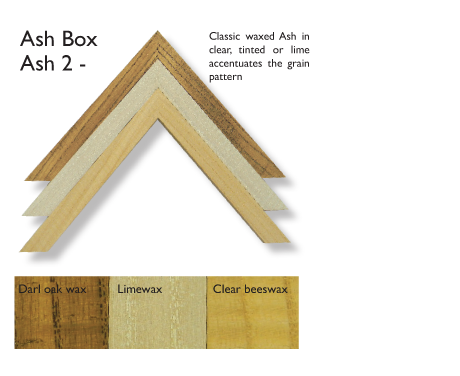 Obeche - A lightweight close grained blond wood, knot free, can be painted, stained and waxed. Ash - Beautifully grained hardwood, best treated with wax. 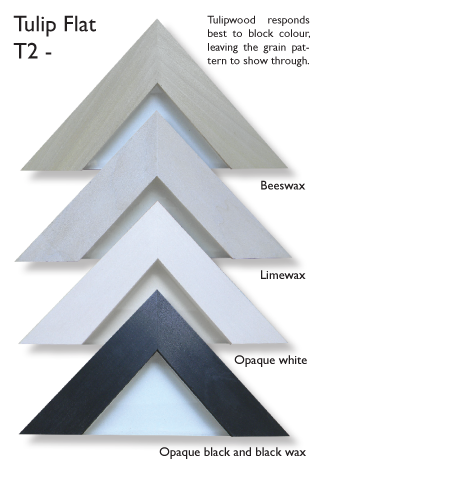 Tulip - Silvery grey hardwood with defined grain pattern, can be painted and waxed, not suitable for woodstain. We use waterbased wood dyes, acrylic washes, sprayed acrylic, wax and french polishes to create these finishes, We do not use oil based wood varnishes or spirit stains. All the frames are finished with a waxed coating - except lacquer and gesso - one coat for a satin finish two for a glossy finish,.